Well, it seems that one year after the acquisition things are about to change if we are to take into consideration that latest changes Facebook has implemented into its Android application. The folks over at Geektime have been recently tipped on a new feature that might seem minor at first glance, but with deep implications when it comes to the interdependence of WhatsApp Messenger and Facebook applications. It looks like Facebook for Android version 31.0.0.7.13, which is not yet available to everyone, has a new feature that allows users to share their status updates via WhatsApp Messenger. 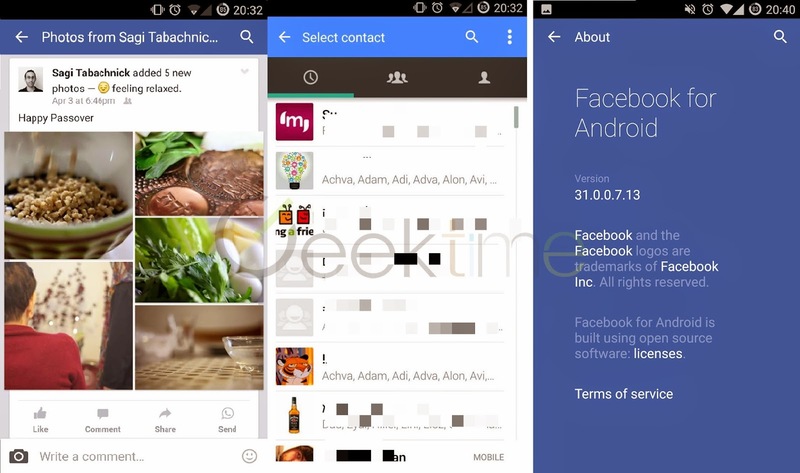 However, this particular version of Facebook for Android has a dedicated button that allows you to share your posts, status and anything else directly through WhatsApp. The change does not show on everyone's application yet, so Facebook might test this new feature with a select group of users. While this isn't necessarily a bad change, it remains to be seen what other additions Facebook plans to include into its Android application that has something to do with WhatsApp. One thing is clear though, Facebook is actively looking for ways to implement WhatsApp services into its Android application. 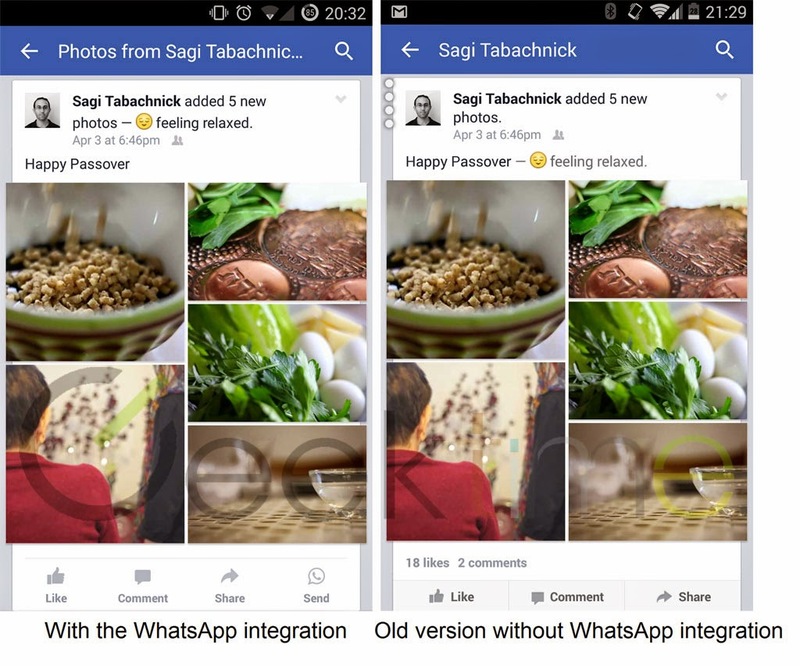 It may be possible for WhatsApp to get a few Facebook features in the process? Only time will tell how deep this integration will go for WhatsApp and Facebook users.